Hygieia Strength & Conditioning will be having our 8th Barbells & BBQ Strengthlifting Meet. The event will start at 2pm with the Strengthlifting meet and will be followed by a BBQ. The meet entry fee of SGD80 includes a spot at the meet and lots of meat at the BBQ. In addition, there will be prizes for the overall winners of the meet. The BBQ will start after the meet ends. Should you want to join us only for the BBQ, it’ll be SGD40 per head. Should you wish to consume alcoholic beverages at the BBQ, please provide your own as it will not be provided. Whisky/beer donations are most welcomed. 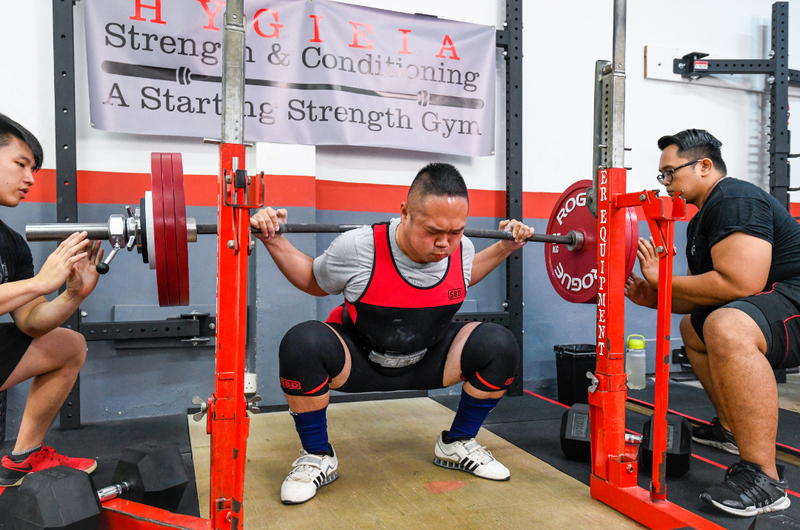 The 8th Barbells & BBQ Strengthlifting Meet will be held under the sanction of the US Strengthlifting Federation (USSF). To compete at this meet, a membership with the USSF is required. Memberships can be registered at this link https://usstrengthlifting.com/register/ussf-membership/ The cost of membership is USD25 and it is good for a full twelve months from the date of purchase. There’s a cap of 20 lifters so make sure you book your slot now! Registration will be closed on the 1st of April ’19.